Tips and tricks for limo reservations! 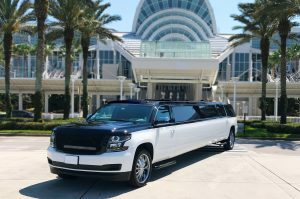 Snagging a top-quality limo reservation in Tampa isn’t something that you can do at the last minute. It’s always better to plan ahead. This helps to make sure that you get the vehicle that you want. It also makes your plans less likely to develop any hiccups along the way. Booking early is the key to getting the luxury car that you want when you want it. How far in advance you should book your limo reservation depends on what type of event that you’re planning. Three to four months in advance is the typical range for booking special occasion transportation services. If you know that your event will take place during a busy season, try to book even earlier. 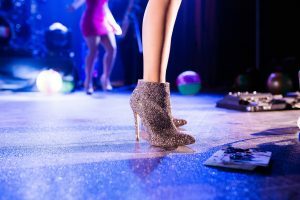 Limousine and party bus rental is especially common around holiday seasons. Christmas and New Year’s Eve are prime examples. Prom and homecoming happen around the same time every year, so you have plenty of advance notice. Booking early ensures that you get to pick from the best selection. Wait too late, and you might have to take whatever is left at the time. Summer is wedding season and June is one of the busiest months of the year. The best companies will book out far in advance. Act quickly to get the best luxury car for your needs from a limousine service that you trust. For business travel or a night on the town, you don’t have to plan so far ahead. Two weeks or so is usually plenty of time outside of peak seasons. A limo service offers much more than special occasion transportation. 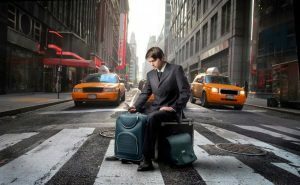 Plenty of everyday travel arrangements are more simple when you go through a limousine company. Don’t miss an important appointment because you don’t have a ride. Black car service is a classy and discreet way to get to where you need to go. Non-emergency medical trips include doctor visits, physical therapy, prescription pickups, or any other medical appointments. Catch a ride to TPA airport and avoid parking fees. You’ll get to your flight on time without the stress of driving through airport traffic. After your return flight, your ride will be waiting. Then, your chauffeur will help you with your bags and drive you back home. • Corporate Event Transportation, and more! Any outing can become an event when you plan it as a special occasion. Climb aboard a party bus and head to Busch Gardens Tampa with your best friends. Book a stretch limousine to pick up your date for dinner and a stroll down the Tampa Riverwalk. Concerts and other events are special in their own right. Make them even more special with the full luxury experience. October 27, 2018, 8 p.m. The multi-talented Max Weinberg comes to the Bay area. Weinberg played in Bruce Springsteen’s E Street Band for 43 years. He then had a 17-year run as the bandleader for talk show host, Conan O’Brien. His band has also appeared on Late Night and The Tonight Show. Capitol Theatre Private Luxury Boxes take the experience to a whole other level. Start the party off with cocktails from the minibar on the way to the theatre. Relax in comfort on the limo’s plush seating. Focus on having fun with your friends instead of stressing over the traffic. This year marks the 9th Annual Oktoberfest Tampa! Come to enjoy German culture, celebrate time-honored traditions, and—of course—drink some beer. Try authentic German foods and participate in various competitions throughout the weekend. What is Oktoberfest without beer? Safety is an important part of event planning, so make sure that you have reliable transportation. A limo or party bus will get you and your friends to the festival and home safely. Plus, your limo chauffeur will know how to take the smoothest ride. Why Should You Choose Network Transportation? Our Chauffeurs Are Trained Professionals! No Automated Phone Lines, Here! You will always reach a live person when you call our offices. You can expect to get the personal attention that you deserve from our staff, every time. Visit us online to book your limo reservation today!